Jeptha Creed – a craft distillery located in Shelbyville, Kentucky specializing in bourbon, whiskey, vodka and moonshine – is proud to announce they have become the official vodka of the 2018 Kentucky Derby Festival. The Kentucky Derby Festival is a month-long celebration leading up to Derby day including events of all kinds for people of all ages. 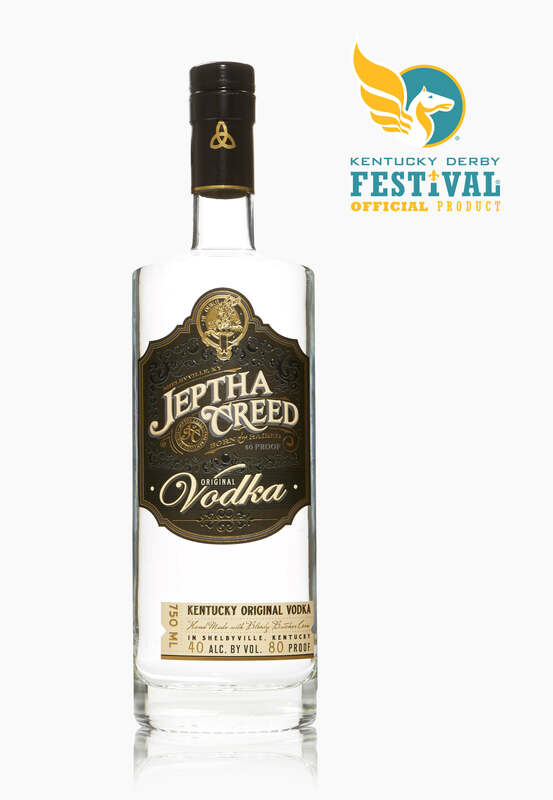 Jeptha Creed vodka will be available for purchase at Thunder Over Louisville on April 21 and Kroger’s Fest-a-Ville at the Chow Wagon April 27 through May 4. As the official vodka of the Kentucky Derby Festival, Jeptha Creed will also be a part of various events during the festival including the Derby Festival Spring Fashion Show, Hole-In-One Contest, They’re Off Luncheon, Kroger’s Fest-a-Ville, Race Expo and Packet Pick-up, and Celebrity Day at the Downs. In celebration of their partnership with the Kentucky Derby Festival, Jeptha Creed has developed a cocktail called the Bluegrass Belle reflecting the spirit of Derby. The Bluegrass Belle ingredients include Jeptha Creed Blueberry Flavored Vodka, mint simple syrup, lime juice, and Sprite, with a mint sprig garnish. For more information about Jeptha Creed craft distillery please call Autumn Nethery at (502) 529-1008.